Many people don't realize how untreated, age-related eye changes can harm vision and, eventually, their entire quality of life. In my practice, I sometimes see the unfortunate results of what happens when an older person waits too long for an eye exam. A delay of even a few years can make the difference between normal vision and going blind. While some eye conditions can be pretty obvious, others can sneak up on you. As an example, a woman came to my office for an eye examination after being pushed by her family to do so. She had not been seen by an eye doctor for 25 years. She insisted that she could see just fine, and that her eyes gave her no problems. But warning bells went off right away when I noticed that her vision was only about 20/80. During the dilated eye examination of her retinas, I found terrible damage from diabetes, with blood leaks and permanent scarring. I referred her to a retinal specialist and an internal medicine doctor. But it was too late. She went blind and then died within a year. While this is an extreme and very scary example, this true story clearly shows why regular eye exams are essential — especially as we age. Eye exams are vitally important for older people. Each test gives your eye doctor essential information about the health of your eyes and how your vision is performing. Eye pressure testing (tonometry) is one of the ways your eye doctor will monitor your eyes for glaucoma, a leading cause of blindness. Glaucoma usually has no symptoms until it becomes very advanced, at which point it's too late to save your vision. But if glaucoma is found early enough with proper testing, the eye disease can be treated very effectively. Visual field testing is another way we watch for glaucoma. This test also can help us find such problems as brain tumors, aneurysms, strokes and other brain diseases, which often are more common in older people. A dilated retinal examination is vitally important to your eye health. By looking through an enlarged pupil (or imaging the retina with a special laser instrument), we can spot many health problems and diseases. Eye exams sometimes uncover other problems, such as diabetes. By looking for changes in the optic nerve, we may be able to tell if glaucoma is present. We can examine the area of the retina where fine focusing occurs (macula) to look for signs of macular degeneration. By evaluating the eye's natural lens, we can detect signs of cataracts. Damage to the eye's arteries and veins (blood vessels) can give us clues about the presence of diabetes, hardening of the arteries, high blood pressure, cholesterol damage and other blood diseases. During a slit lamp examination, we use a high-power biomicroscope to carefully examine the structures of the anterior (front part) of the eye to look for conditions such as dry eyes, corneal dystrophies, pingueculae and pterygia (lumps and bumps on the sclera and cornea), eyelid disease, cancerous changes and other abnormalities. With an additional small (often hand-held) lens, the slit lamp also can give us a magnified, 3D view of the retina and other structures in the back of the eye. A refraction is the procedure to determine your prescription for eyeglasses. But changes to your glasses prescription also help us detect conditions including diabetes, cataracts, and thyroid problems. Eye doctors know these conditions can trigger certain, specific changes in your eyesight. For instance, diabetes can cause wild swings into nearsightedness, and thyroid problems can cause double vision. How to prevent falls? Get an eye exam! Each year, one in three Americans over the age of 65 falls, according to the National Council on Aging. And fall-related injuries can be devastating. One way to reduce your risk for a fall is to have an annual eye exam. Good vision helps you keep your balance, avoid fall-inducing obstacles, manage stairs safely and navigate rough pavement when you're out walking. For more tips on avoiding a fall, please watch the video. And stay safe! — L.S. At the beginning of this article, I mentioned the tragic outcome involving one patient who skipped eye exams for too long. But now I'll tell you about another person, Jim, who has been a patient of mine for many years. Because Jim always has an annual eye exam, I discovered that his eye pressures were going up and the appearance of his optic nerve was changing. Special testing confirmed that Jim has primary open angle glaucoma, an insidious eye condition that can cause blindness if left untreated. Jim is now using the glaucoma eye drops I prescribed for him once daily, and he has 20/20 vision. However, this story could have been far different had it not been for regular eye exams and early detection of glaucoma. Especially now, Jim appreciates the value of regular eye testing — as should anyone interested in preserving their eyesight for a lifetime of good vision. Regular eye exams do more than save sight — they also can help you preserve your independence by preventing falls and other accidents. Plus, they can improve your quality of life by providing clearer, more comfortable vision. During your eye exam, your doctor doesn't just look for major problems like glaucoma. There are many changes that occur with age that are commonplace but can have a big impact on your day-to-day activities. Cataracts are a good example. In their early stages, cataracts make it harder to see in dim light. Your eye doctor can detect early cataracts before you notice this problem and advise you about ways to reduce glare and other symptoms of mild cataracts. Cataract surgery is one of the most common surgical procedures performed in the United States, and your eye doctor can advise you when surgery is a good idea to noticeably improve your vision and help prevent falls and other accidents. Dry eye syndrome is another common problem that often comes with age. 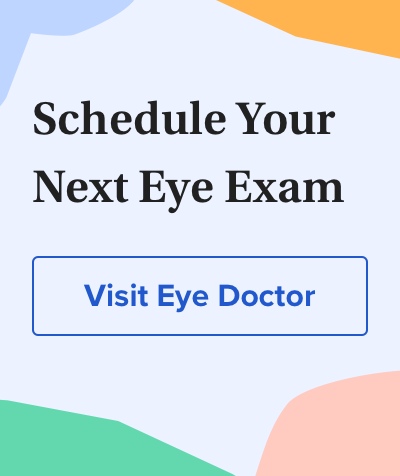 Your eye doctor can detect early signs of dry eyes and offer dry eye treatment so your eyes will feel more comfortable and your vision won't be affected when you're reading, driving or performing other activities that you enjoy.